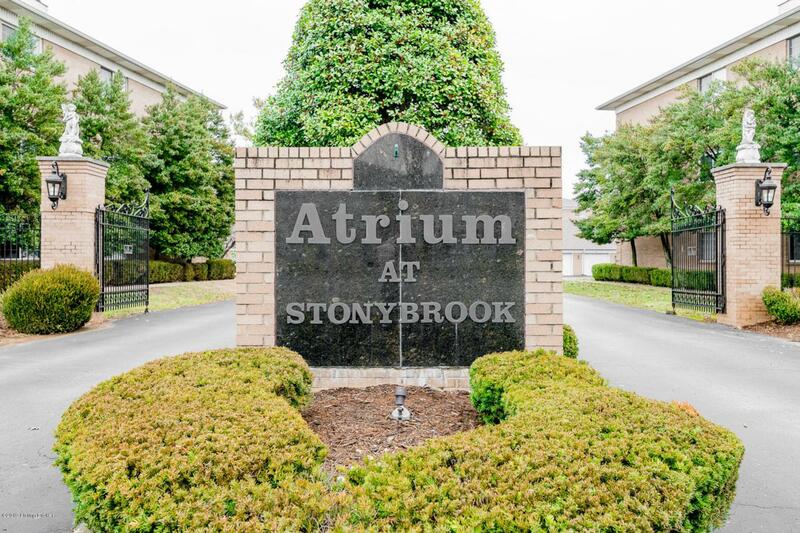 Highly sought after condo in the Atrium Community is MOVE-IN READY, UPDATED and IMPECCABLE CLEAN! OPEN FLOOR PLAN with very large master bedroom will easy accommodate a king size bed, side tablesand dressers. Master bedroom has ensuite master bath and 2 walk-in closets! Vinyl, hardwood look flooring is less than 1 year old, NEW MICROWAVE with CONVECTION, NEW GARBAGE DISPOSAL, NEW KITCHEN CABINET PULLS and NEW NEST THERMOSTAT! 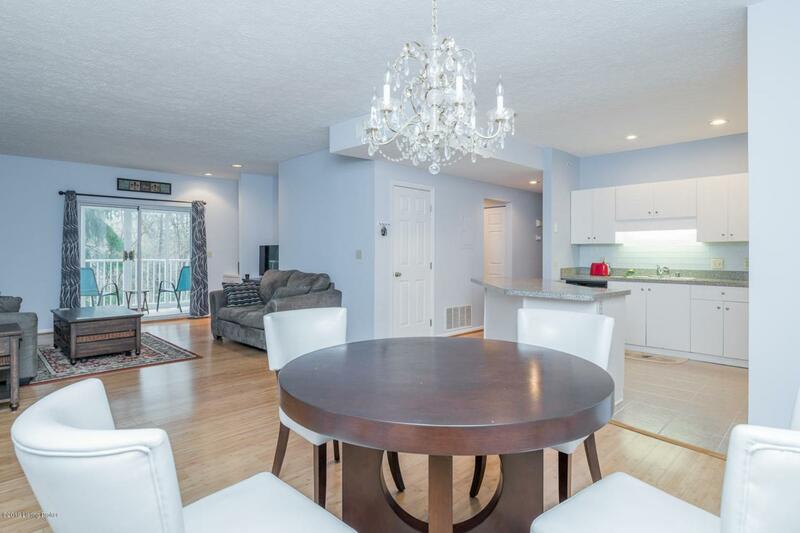 Private patio brings in lots of sunlight and backs up to wooded area with creek at the bottom! Patio is enclosed with glass and screen and has 2 large sliding glass doors. Second bedroom has a walk-in closet and laundry is located in the condo. Secure building with elevator. Come take a look today! 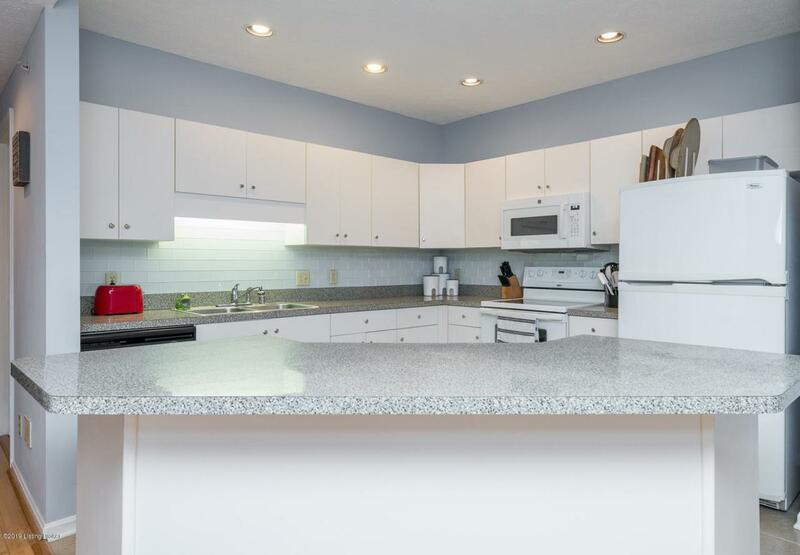 Conveniently located close to shopping, restaurants, interstatesand all you might need! First American Home Warranty currently in place and transfers to new owners through Aug. 2019.